There was a bit of confusion among myself and my peers today, on how to take screenshots and prep them for print. The printer required 300dpi images, and screenshots are, usually, 72dpi. There is no way to just “take” a higher resolution screenshot, you have to actually upscale the originals. This will work on the Mac or PC, but requires Photoshop. Step 1: Take your screenshot, and open your image. On Windows, your best bet is to turn OFF ClearType, the font screen smoothing technology before you take the screenshot. 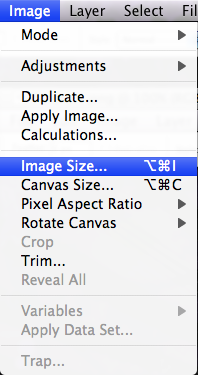 Step 2: Select Image Size… from the Image menu. Step 3: Choose the resolution you want (I used 300dpi). Also for the Resample Image option, be sure to select “Nearest Neighbor”. That’s it! Your image is now resized, while maintaining the quality of the text.